This collage shows the concept for one of Christo and Jeanne-Claude’s unrealised projects. 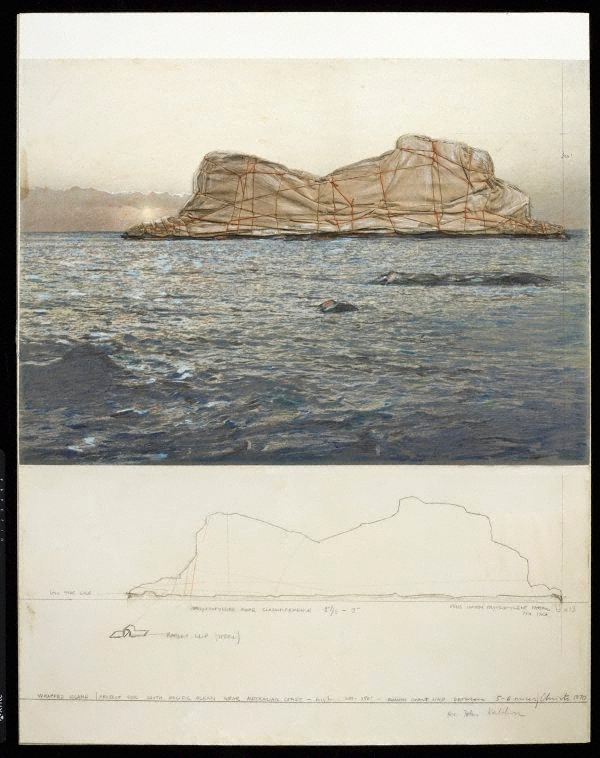 ‘Wrapped Island, Project for South Pacific Ocean’ was conceived during their visit to Sydney for ‘Wrapped Coast’. All of Christo and Jeanne-Claude’s unrealised projects failed because permission was denied.